It is TBL or Tirta Lebak Buana. The locals and tourists often visit this hot spring to relax and enjoy the warm water. It has become a public bath place today. The location is in Rangkasbitung – Bogor Street 38. Actually, it belongs to Cipanas District. There are two pools, so visitors can enjoy their bath in a comfortable manner. The increasing number of visitors may happen in the weekend, though. It is better to come in the workdays instead. Most of the guests are children and families. In terms of size, the pool is moderate. The water is clear and comfortable. It is because the keepers do their job well. As mentioned earlier, there are two pools and both of them have a similar size. There are public bathrooms, as well. Visitors can use them to change clothes and clean themselves. On top of that, there are numerous facilities. Local tourists are often seen and they are friendly. Overall, the nuance is relaxing. Everyone would love to spend hours in this public bathing place. Banten Province should promote their tourist spots often. 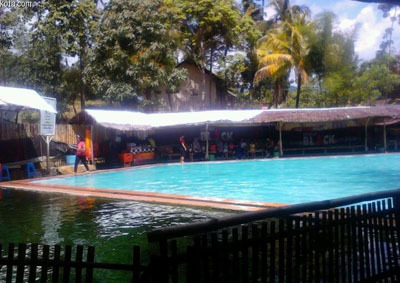 In Cipanas District, Tirta Lebak Buana Hot Spring has been a favorite location for tourists. It provides a comfortable nuance and excellent pools. Even though it belongs to Cipanas, the visitors come from numerous locations such as Pandeglang, Jakarta, Bogor, and other nearby regions. Apart from a good atmosphere, the hot spring is also accessible. Thanks to the strategic location. It lies in the roadside of Cipanas Raya Street. That means you can reach it using any types of transportation. What about the facilities? The water is not too hot. Its temperature is about 45-80 C. Thus, visitors can enjoy either bathing or swimming there. According to the keepers, the number of visitors increases every year. That means such hot spring becomes more popular over time. Apart from being a tourist spot, it also becomes a therapy center. The locals believe the warm water can help them heal several diseases. Not to mention the warm water is good for improving stamina and relieving muscles. There is an important rule when taking a bath in Tirta Lebak Buana Hot Spring. You should never use any soap. Otherwise, it may ruin the water. Not to mention it is useless. There are the bathrooms already, so you can use the soap there. Next, it is the fee. Adults need to pay more than kids. There isn’t much difference, though. Also, there is a parking fee. Have no worries. All the expenses are worthy. You won’t get disappointed in spending time there. In order to reach Tirta Lebak Buana Hot Spring, you need to spend 3 hours from Jakarta. Your destination is Cipanas District and the distance is about 103 km. The best route to use is Pantura Street. When it comes to a vehicle, you can use either a car or public transportation. It is your call, after all.